The large-scale wildfires started on the afternoon of April 4 in Gangwon Province, South Korea and burnt 530 hectares of lands in the region. 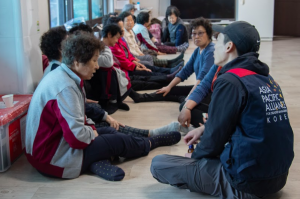 The emergency assistance team from A-PAD Korea was dispatched to the region on April 5 and started needs assessments in Goseong, one of the areas where the fires hit the hardest. The team ascertained that large evacuation centers have been receiving aid while evacuation centers in remote areas have not yet received any assistance. In coordination with Peace Winds Japan, A-PAD Korea delivered emergency relief items to 7 evacuation centers. 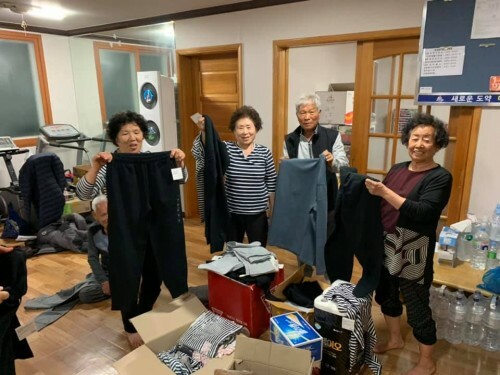 Around 300 evacuees received clothing (200 items), underwear (600 sets), socks (600 sets), books, laundry items, wet wipes, medicines, vitamins, and disposable utensils. The team also delivered school supplies including shoes, school bags, and stationary to students in the affected areas. In addition, maternity clothing and vitamins were delivered to expecting mothers. 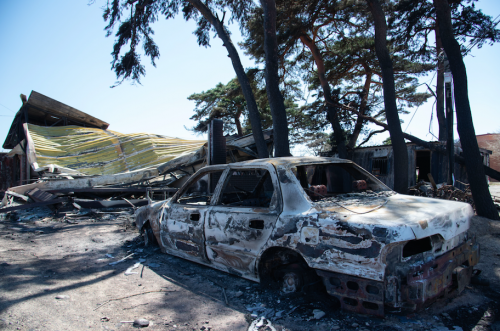 Please consider donating to A-PAD to support the victims of the deadly wildfires in South Korea. Your generous support is appreciated.